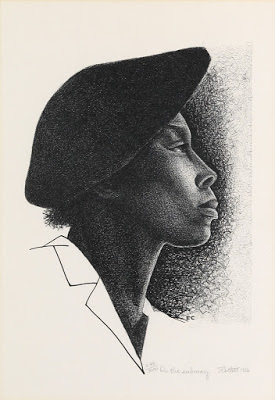 Lot 26: Elizabeth Catlett, On the Subway, offset lithograph, 1986. While Nigel Freeman, Director of our African-American Fine Arts Department is hard at work preparing for the preview and auction of The Art Collection of Maya Angelou, he managed to take a little break last night to check out the new documentary Rosenwald. While not receiving much publicity during this season for blockbusters, this film is an intriguing look at the life of the Chicago philanthropist Julius Rosenwald (1862 -1932). Rosenwald, the son of middle class German-Jewish immigrants, helped build Sears, Roebuck and Co. into an American corporate giant. The film includes interviews with the art historian Dr. Richard J. Powell, and the great civil rights leader, Julian Bond, who recently passed away. The Rosenwald Fund gave away millions – including funds to build thousands of school houses across the South, and awarded stipends to hundreds of African-American artists, writers and scholars across many disciplines. Dr. Angelou attended a Rosenwald school, the Lafayette County Training School, as a girl in Stamps, Arkansas, and spoke about her experiences there in the documentary. Now, as her art collection comes to auction, it’s fascinating to see how many of the artists she collected were interconnected by their ties to the Rosenwald fund. 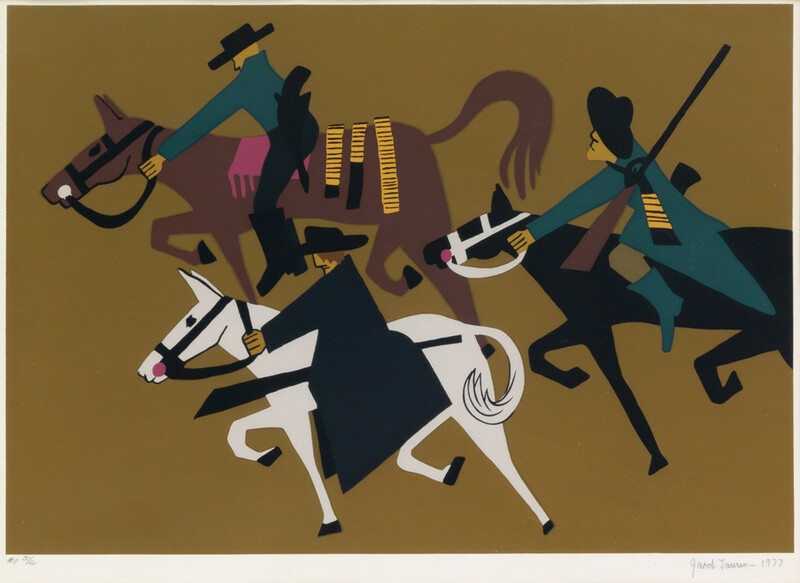 Lot 13: Jacob Lawrence, John Brown Took to Guerilla Warfare, color screen print, 1977. This vibrant screenprint comes from Lawrence’s 1941 series The Legend of John Brown, which he produced after the Rosenwald Fund aided his travel to New Orleans for the project. The screenprints were produced later, in 1977, when the Detroit museum commissioned Lawrence to create them because the original paintings had become too fragile for public display. 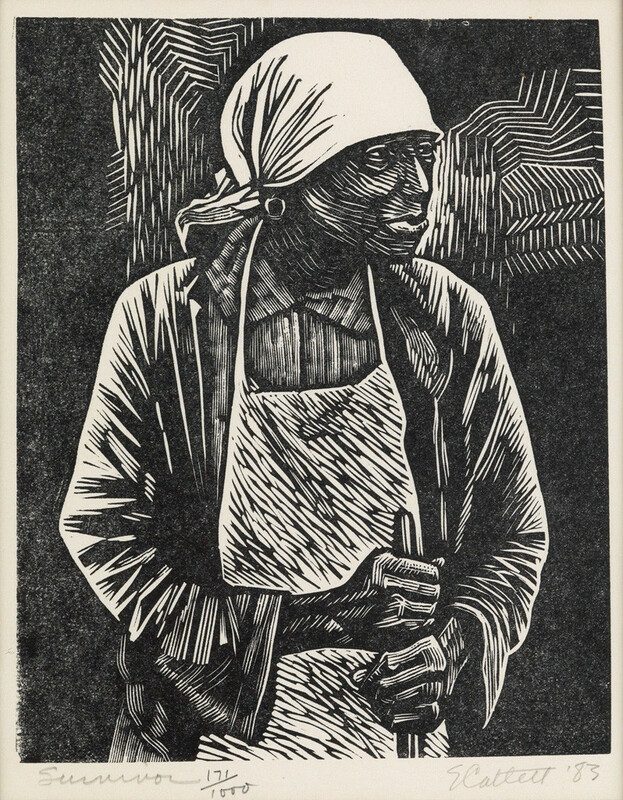 Lot 19: Elizabeth Catlett, Survivor, linoleum cut, 1983. Estimate $2,000 to $3,000. 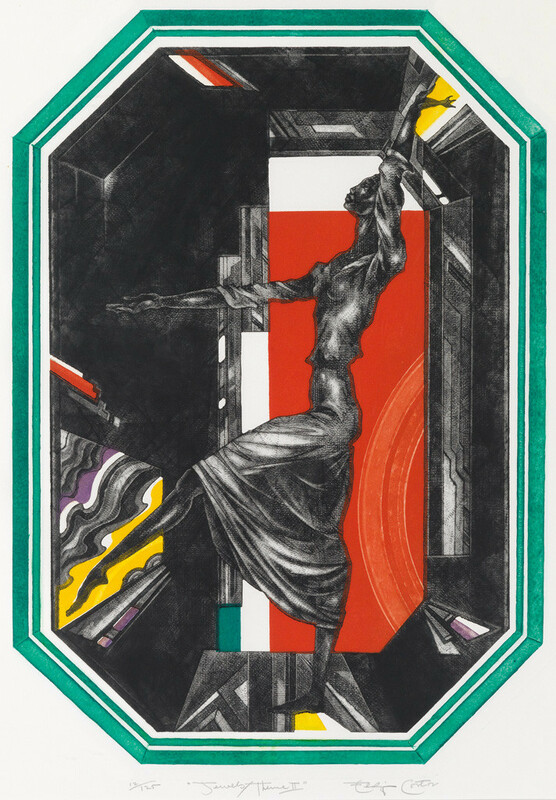 While this piece itself was not produced through Rosenwald funding, Elizabeth Catlett and her husband, artist Charles White, both received Rosenwald funding multiple times, which allowed them to produce influential works that would help shape their careers. 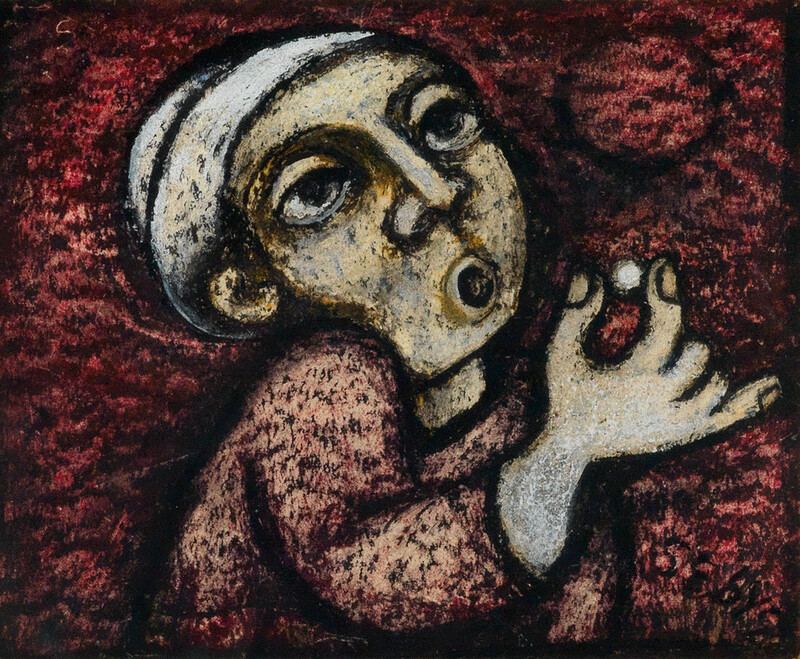 Lot 1: Charles Sebree, (Untitled) Boy with Pearl, circa 1940. Estimate $2,000 to $3,000. 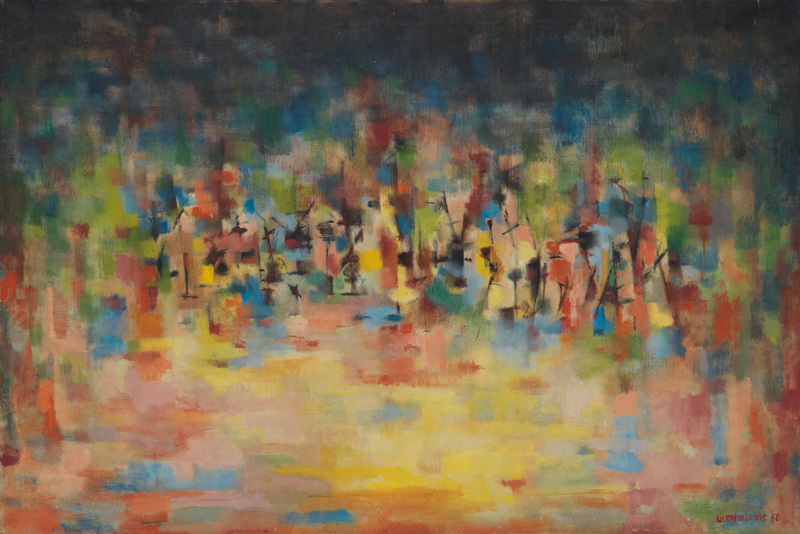 Charles Sebree and Eldzier Cortor are two more artists represented in the auction whose careers were shaped in part by Rosenfeld Fellowships. Lot 28: Eldzier Cortor, Jewels/ Theme II, color mezzotint with etching and aquatint, 1985. Estimate $3,000 to $5,000. Nigel highly recommends the documentary, so be sure to check it out to learn more about Julius Rosenwald and the lives he influenced. A list of screenings and more information on the film can be found here. 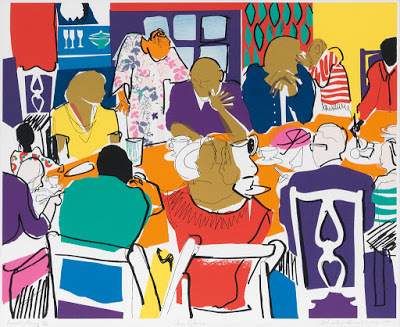 For more information, or to see more works from The Art Collection of Maya Angelou, check out the catalogue on Swann’s site.